You are here: Home>Places>Clifden Heritage>Topics>James Hack Tuke: Quaker Philanthropist and Friend to Ireland’s Poor. An exhibition hosted by Ireland’s Great Hunger Institute at Quinnipiac University. 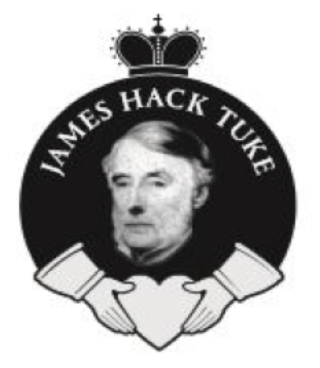 Please join us for the opening of a new exhibition entitled, ‘James Hack Tuke: Quaker Philanthropist and Friend to Ireland’s Poor’ on Wednesday, 20 March 2019 at 4:30 pm. The exhibition, to commemorate the bicentenary of Tuke’s birth, will be officially launched by the Mayor of Galway, Niall McNelis, in room SC119 of the Student Center. The exhibition will be located in the Arnold Bernhard Library, and open until September 2019. 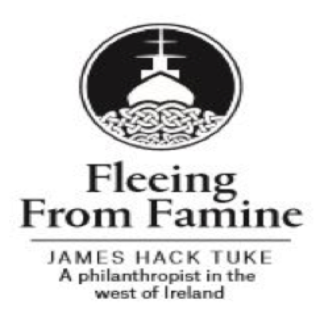 It will highlight Tuke’s role during the Great Hunger and the lesser known famine of 1879-82, when he assisted nearly 10,000 Irish poor to leave for North America. The exhibition will feature many primary documents, images and artefacts, which tell the story of the emigrants’ escape from perennial poverty and famine. Gerard Moran’s book on the role of Tuke and his activities in Connemara Fleeing from Famine in Connemara: James Hack Tuke and his Assisted Emigration Schemes in the 1880s (Dublin: Four Courts Press) has recently been published. Queries or registration, please email ighi@qu.edu. 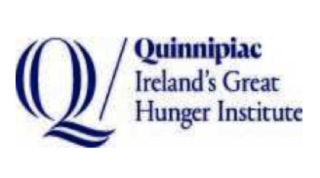 The exhibition is curated by Professor Christine Kinealy, Director, Ireland’s Great Hunger Institute and Dr Gerard Moran, Senior Researcher, SSRC, NUI Galway, in association with the Arnold Bernhard Library.